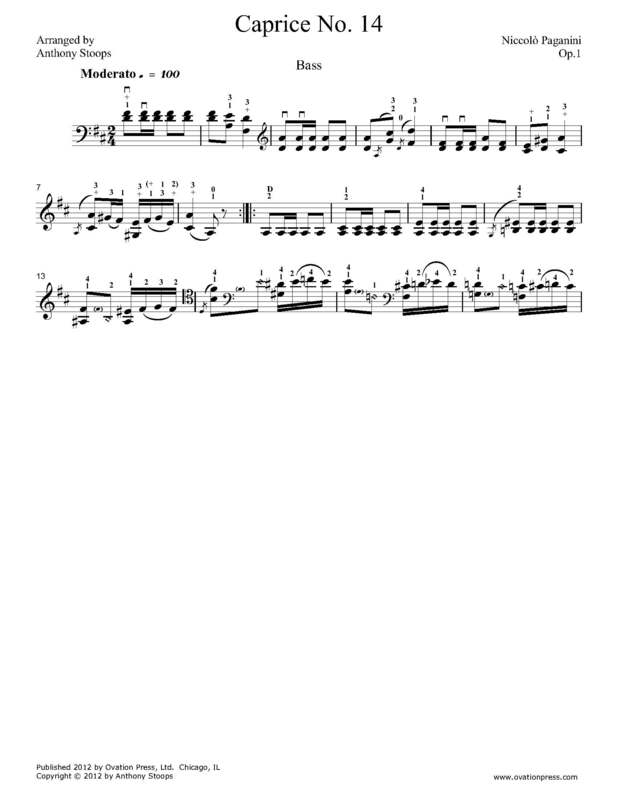 Like my transcription of Paganini’s Caprice No. 9, this transcription of Paganini's Caprice No. 14 is also inspired by Yo-Yo Ma’s recording of Paganini and Kreisler transcriptions. I have changed the key to make it approachable by the double bassist and I have simplified the triple and quadruple stops down to mostly double stops. The technical challenges are many: double stops, lower thumb position work, double stops across strings and numerous “finger twister” passages. As always, slow and methodical practice will pay off on this one!